In profound sorrow, the Britt Funeral Home and Cremation Service join with the Dillahunt and the Wooten Families to announce Mrs. Ruth Wooten Dillahunt of La Grange, North Carolina, at age 83, has completed her earthly journey. Mrs. Dillahunt transitioned from labor to reward on Saturday, March 23, 2019 at the Kitty Askins Hospice Center in Goldsboro, North Carolina. She was born in Wayne County, North Carolina on August 14, 1935 to the late Mr. Jurden Wooten, Sr. and Mrs. Lillie Lewis-Wooten. Ruth received her education in the Lenoir County Public School System. At an early age, Ruth attended and joined Woods Chapel UAFW Baptist Church in Goldsboro, North Carolina under the leadership of Pastor Leo Deans. She was an active member of the church. During Ruth’s working years, she was employed with Hampton Industries in Goldsboro, North Carolina where she served as a machine operator for many years. Mrs. Dillahunt was preceded in death by her husband, Mr. Fred Dillahunt, Jr.; her parents, Mrs. Lillie Lewis Wooten and Mr. Jurden Wooten, Sr.; her daughter, Ms. Ruth C. Dillahunt; her great grandson, Mr. Jahlil Tarplay; her sister, Ms.Thelma Wooten; her brothers, Mr. William Wooten, Mr. George E. Wooten and Mr. Jurden “Chick” Wooten. A celebration of life will be held on Thursday, March 28, 2019, at 12:00 p.m. at the Woods Chapel United American Free Will Baptist Church, 928 East New Hope Road, Goldsboro, North Carolina. Pastor Leo Deans will officiate. Interment will follow the celebration of life service in the La Grange Memorial Park Cemetery, 295 West James Street, La Grange, North Carolina. Also, a public viewing will be held on Wednesday, March 27, 2019 from 2:00 p.m. to 6:00 p.m. in the Britt Funeral Home Memorial Chapel, 414 East Washington Street, La Grange, North Carolina. Mrs. Dillahunt leaves a legacy of love and memories to her son, Harvey B. Dillahunt and wife, Diane, of Greensboro, NC; her daughters, Elizabeth Dillahunt of the Home and Lutretia Davis of LaGrange, NC; her grandchildren, Terrance Dillahunt (Joy Lynn) of Goldsboro, NC, Venicha Tarplay of Goldsboro, NC, Lafayette Barnes (Sonya) of Greensboro, NC, LaKeisha B. Dillahunt of Greensboro, NC, LaTasha D. Beatty (Remya) of Greensboro, NC, Briana Dillahunt of the Home, Sharonda M. White of Greensboro, NC, Kirk White of Kinston, NC, Kanelia Shedrick (George) of Goldsboro, NC and Kristoffer Jones (Corine) of Charlotte, NC; 19 great grandchildren; one great, great grandchild; her brothers, Edward Wooten (Novella) of LaGrange, NC, Lindell Wooten of LaGrange, NC and Murthis Wooten (Julia) of LaGrange, NC; sisters-in-Law, Pauline Wooten of Newark, NJ and Barbara Dillahunt of Kinston, NC; host of nieces, nephews, cousins, other relatives and friends. 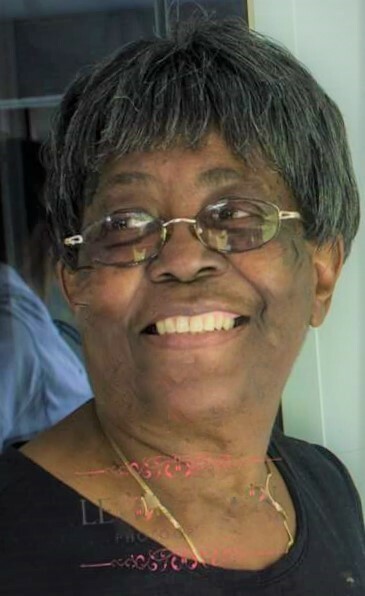 On Thursday, March 28, 2019, the family members and friends will assemble at the home of Mrs. Ruth Dillahunt, 318 Easy Street, La Grange, North Carolina at 10:30 a.m. in preparation for the funeral procession. Floral arrangements may be delivered on Wednesday morning, March 27, 2019 beginning at 9:00 a.m. to Britt Funeral Home and Cremation Service, 414 East Washington Street, La Grange, North Carolina.